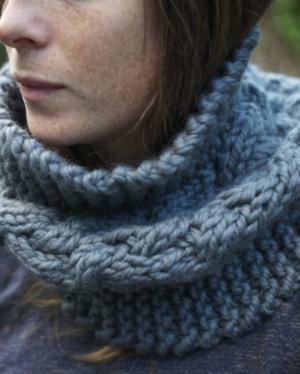 This snood, briefly shown in the stitch library in Knitty Gritty - The Next Steps has proved to be one of the most popular items in the book! The snood is shown in the book as an example of what can be knitted using Six-Toed Cable rather than a fully written pattern and I've had several requests asking for the pattern in a more traditional format. So here it is! This is available as a PDF for £3 (via online bank transfer) or £3.50 (if you'd prefer to pay using a debit or credit card). Please email aneeta@knittingsos.co.uk if you would like to purchase this pattern.